Descant to the hymn tune HYFRYDOL. 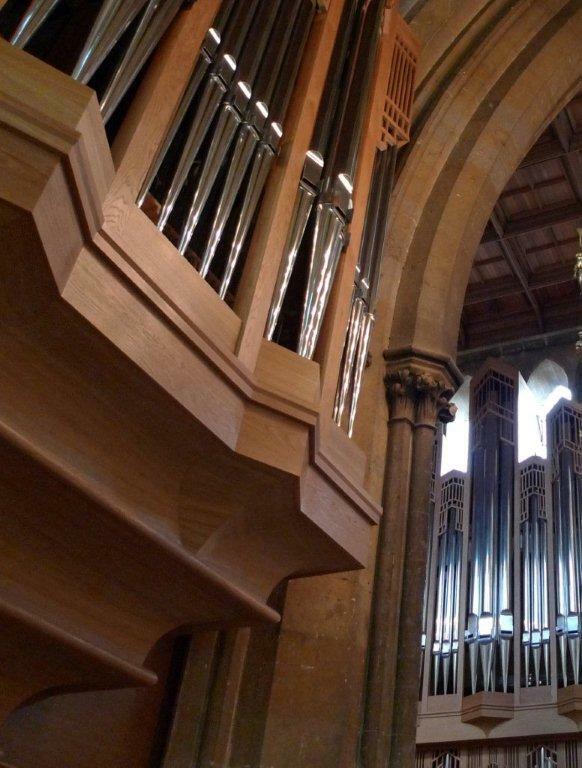 Free score with prologue/bridge, harmonized descant, and texts to two hymns. Free score. HYFRYDOL, meaning 'cheerful,' was composed by Rowland Huw Prichard when he was 19 years old, and published 14 years later in a volume of his children's tunes, in 1844. 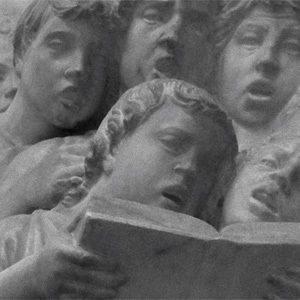 This popular, singable hymn tune features the vocal range of only a sixth. Prichard was a worker in a textile mill, and a precentor (appointed leader of congregational singing) at Graienyn, the town of his birth. 'Alleluya, sing to Jesus' was written by William Dix ('What child is this,' 'As with gladness men of old') as a communion hymn and published in his Altar Songs, Verses on the Eucharist, in 1867. Charles Wesley's exquisite 'Love divine, all loves excelling' (1747) is considered one of that prolific writer's finest texts. 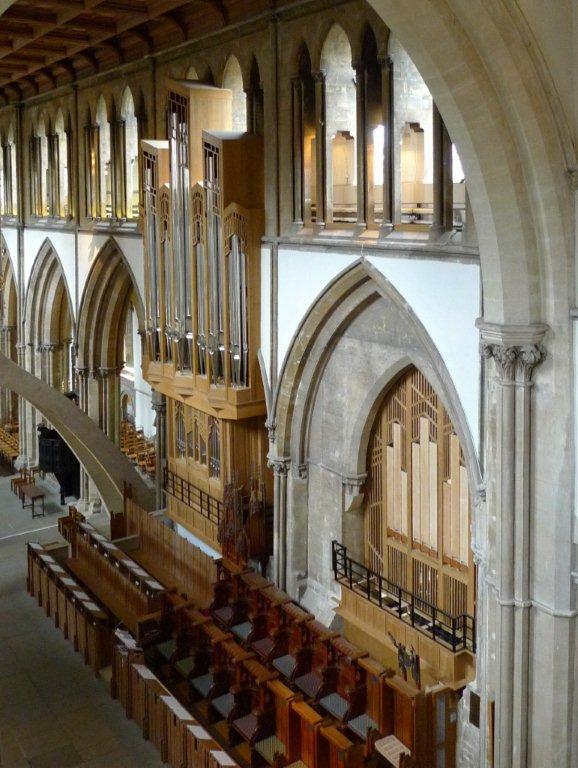 This descant was written for the Choir of St. Peter's Peterston for services featuring the new (Easter 2010) Nicholson organ at Llandaff Cathedral in Cardiff, Wales (below). 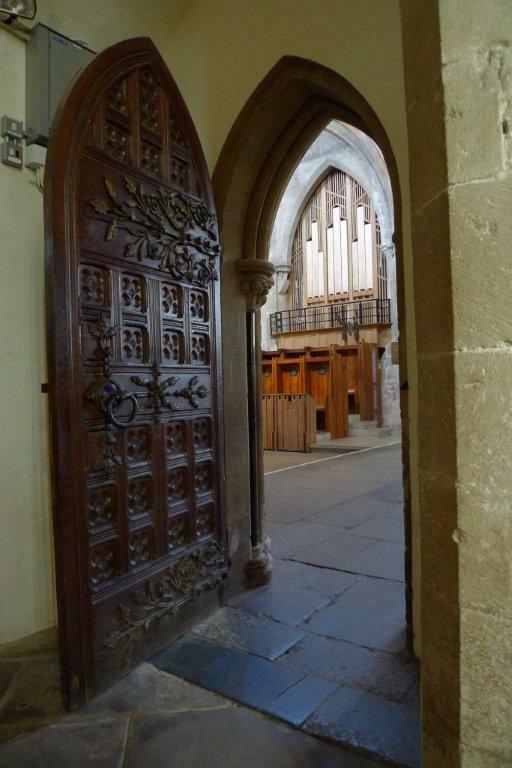 images of the 2010 Nicholson organ at Llandaff Cathedral, Cardiff, Wales, UK.